It’s important to find the right company when choosing party buses. Many customers look for the cheapest party buses, only to find out these companies are running around with no insurance. No matter why you are celebrating, be it your Prom, your loved one’s birthday, or even a wedding; picking ULC for this occasion is a step in the right direction. We have all party buses all shapes and sizes, at the most affordable prices anywhere in the OC. ULC limos is known as the top party bus rental company in all of Orange County, and we’ve been around for the past 20 years. You get the upper hand by starting off your party right at the doorstep and enjoying all the way to your destination. Take one of our party buses to see all of Orange County and go to places like the Honda Center or Angel Stadium. Why think twice when you can get our party bus services at steal deals in town with all the facilities? We boast of being the most sought-after party bus service providers in Orange County. Huge armada and proficient chauffeurs are what back us up during the times of high demand. ‘Pricey’ is what many people think when it comes to party bus rental. Is it the same on your mind? We’ve got you covered. And, safety you say? We got your back. Our chauffeurs are well trained and aware of the rules and regulations in Orange County, CA. There is even a wider range of party buses available with us. 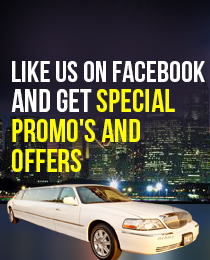 Tell us your needs; we give the best party bus that suits you. So folks! Why wait? Get. Set. Party!